Canada, with its vibrant cities, welcoming atmosphere and awe inspiring scenery, is one of the most popular tourist destinations. It is the second largest country in the world after Russia. It is home to lumberjacks, ice hockey and of course Maple syrup. This country has a mixture of both raw and complex beauties. Canada, from sea to land has fascinating places. This largest country of North America is a vast land with majestic mountains, desert, glittering lakes, spectacular coastlines and spacious prairies. Canada is also home to multicultural communities. In addition, its cities are rich with cultural and historical treasures. The vastness of Canada will leave you spoilt for choice. 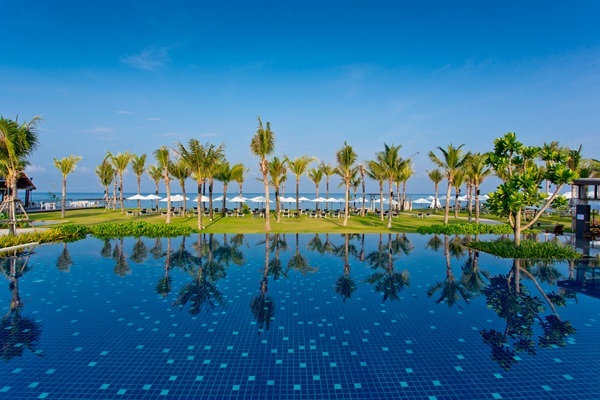 So we have compiled ten must visit places to ease your confusion. 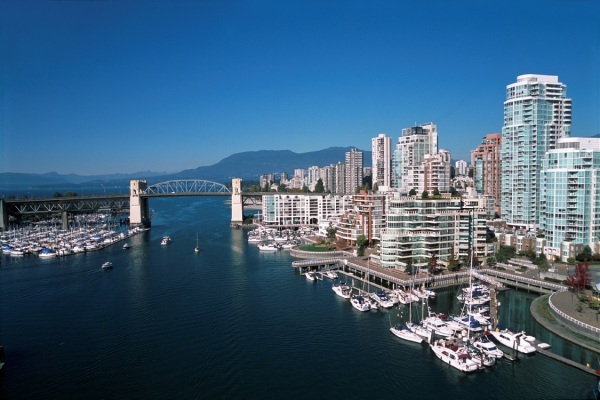 Situated between the Pacific Ocean and Coast Mountains, Vancouver is one of the top places that you must visit in Canada. The place is favored for its majestic landscapes, which serve as a natural playground for the tourists. Visitors can swim in the ocean, ski in the mountains and rollerblade through the parks, all in one day. Vancouver will appeal to you if you are a sports lover. Vancouverites spend most their vacation surfing at the Wreck Beach and strolling through the Stanley Park. The place also offers plenty of cultural attractions like museums and castles. Shopaholics must visit the Shop Main Street boutiques for one of a kind clothes and fashion accessories. Located in the foothills of the Canadian Rockies, the Banff National Park is a haven for nature lovers. It is not just the first national park in Canada, but also the largest and most visited national parks in the nation. It has beautiful waterfalls, abundant wildlife, and blue glacial lakes. The Park with its wildlife and breathtaking scenery draws thousands of tourists every year. If you have an adventurous soul, then you can spend the day skiing or hiking. You can reside in the classic hotels like the Fairmont Banff Springs or at Lake Louise if you are a solitude lover. Niagara Falls is a series of waterfalls situated on the border of the United States’ New York and Canada’s Ontario. It one of the most popular destination for honeymoon and is fondly called the “Honeymoon Capital of the World.” Of late, Niagara Falls has also become a popular destination for family and adventure vacations. Watching the water tumble at the lightning speed will be a mesmerizing experience for you. You can also visit the Maid of the Mist to cruise close to the falls. 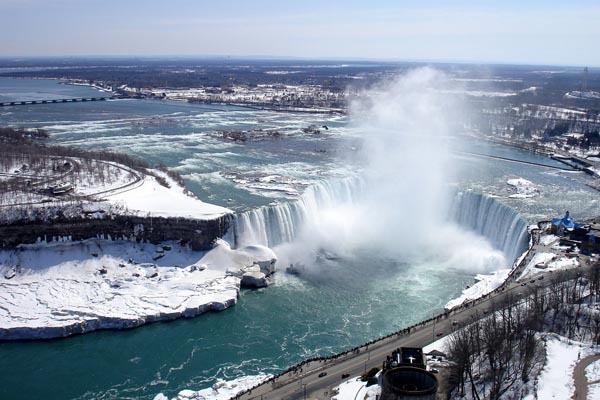 The Niagara Falls also offers other attractions like the wineries, casinos, and museums. Ottawa is the capital of Canada. It is the place where you will hear both English and French spoken on the streets. The small size of this city makes it a lot more manageable. It is home to many commercial, financial and federal establishments. The Rideau Canal is the star attraction of Ottawa. During the winters, the canal becomes the largest ice skating rink. The abundance of cultural sites, galleries and museums will appeal to all the history lovers. If you are a tulip lover, then you must visit Ottawa during the spring. 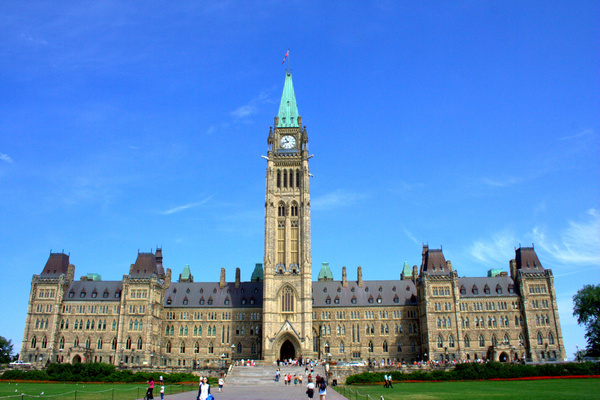 The other attractions of Ottawa are Parliament Hill and Gothic Parliament. Toronto, also described as the “New York City run by the Swiss”, is the capital of Ontario. This multicultural city has people from all over the world. You will find world-class restaurants, shopping malls and theater in Toronto. The vibrant culture boasts an incredible range of events and attractions. 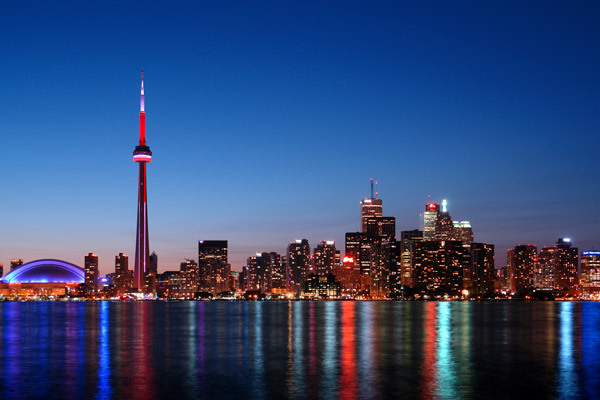 The main attraction of Toronto is the CN Tower, the tallest structure in the Western Hemisphere. You can reach the top of the tower at 15 mph in just 58 seconds to enjoy the 360 degrees city view from a fine dining restaurant. Fashion lovers can visit the Distillery District to shop at the high-end boutiques at the Blood Street. 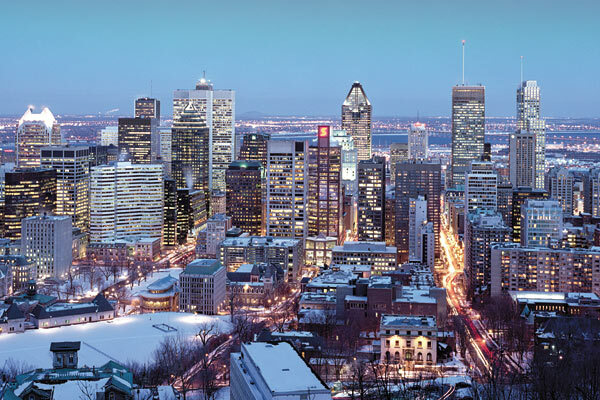 Montreal, the “French Speaking City of Canada”, is considered the cultural capital of this nation. This second largest city of Canada is the second largest French-speaking city in the world. You will get a taste of Europe with the horse drawn carriage on the cobblestone streets and grand building of Vieux-Montréal. Music lovers must attend the renowned Montréal International Jazz Festival free concerts. Take a cycle tour around the lovely Canal de Lachine and Plateau Mont-Royal to get the best feel of Montreal. There are also many breathtakingly beautiful heritage churches like Basilique Notre-Dame and Stade Olympique. 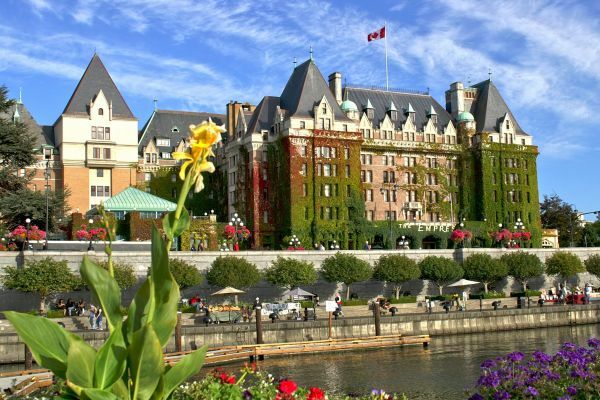 Victoria is one of the most British cities of North America. There is a lot to Victoria than galleries, antique shops, and tearooms. The city has authentic coffee bar, cool shops, and unique restaurants. Victoria is best explored on a bicycle. It has more cycling routes than any other Canadian city. For once in a lifetime experience, take a horse drawn carriage ride to explore the city. Make sure you stroll through the famous Butchart Gardens for its glorious gardens. 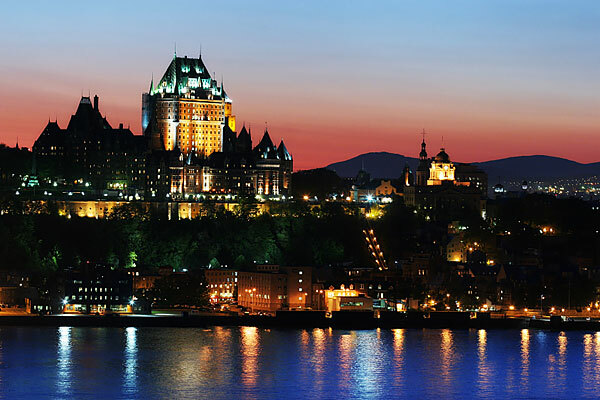 Québec City is the oldest walled city in North America. It is a place where Wolfe defeated Montcalm on the Plain of Abraham to secure Canada for the British Empire. It holds a European charm along with the French Canadian character. Food and cuisine define much of the Quebec’s French-Canadian culture. The place is famous for its devotion to cooking with the homegrown products. The important events help here include the New France Festival and the Winter Carnival. Explore Citadel to catch a view of the Canadian troops staging a military ceremony. For afternoon tea, head to Chateau Frontenac, the most photographed hotel in North America. 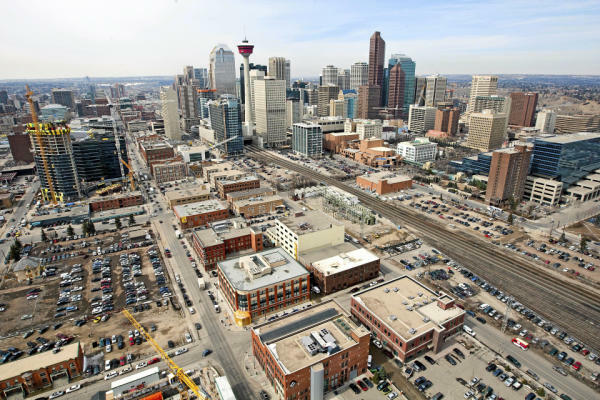 The vibrant city of Calgary is the one of the most visited places in Canada. It is situated in the foothills of the Canadian Rockies and the Canadian Prairies. Calgary is one of the largest metropolitan areas of Canada, attracting thousands of visitors every year to its annual rodeo event- the Calgary Stampede. The city balances the modern and the traditional with a charm. The place provides its visitors with endless opportunities for outdoor adventures and urban delights. 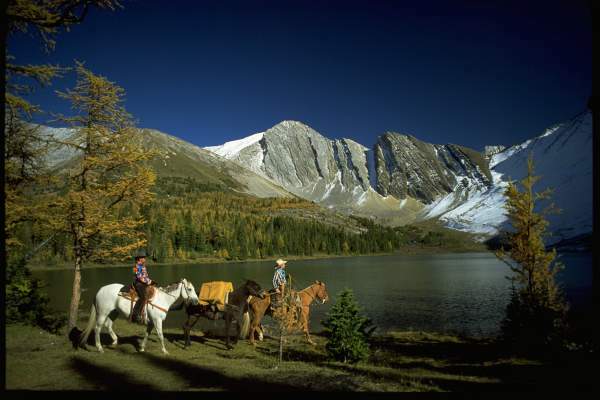 This place is an excellent getaway to the rugged Canadian Rockies and trail rides. If you are visiting the place for your family, then take a trip to The Calgary Zoo, Telus Science Centre and Canada Olympic Park. The Algonquin Park is the oldest, largest and best-known provincial park of Canada. This place in winter is a haven for skiers and snowmobilers. 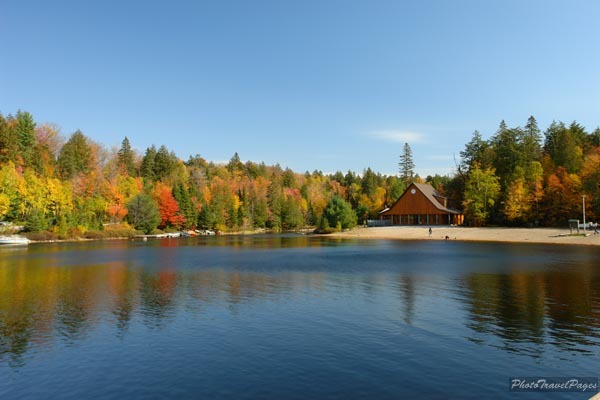 During the summers, the Algonquin Park is ideal for campers and hikers. People who loving canoeing, swimming and fishing must visit the Algonquin Park. The place is home to 2,000 black beats, 200 resident wolves, 20 species of reptiles and more than 1000 species of plants.